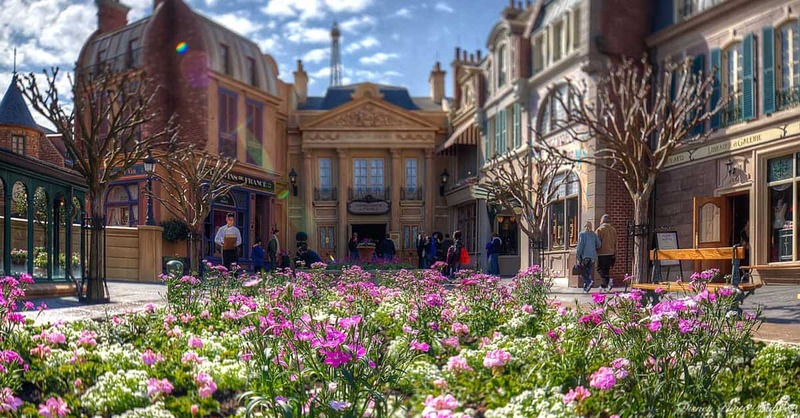 The beauty and charm of the French Pavilion make it the most desirable location at Epcot. It’s rich in culture with lots of great dining, shopping, and entertainment options. There so many things waiting to be discovered here and great experiences to be had by all ages. Learn why France is one of our favorite pavilions at Epcot’s World Showcase! This quaint Parisian brasserie has exquisite French cuisine. Most of the ingredients are imported from France to create an authentic dining experience. The interior of the restaurant features Post-Impressionism art, mosaic flooring, and large windows overlooking the beautiful French Pavilion. Some specialty dishes include roasted chicken, French onion soup topped with Gruyère cheese, escargot, and many others. There are plenty of delicious options here for kids as well. For dessert, crème brûlée and chocolate tarts are among the favorites. This is one of World Showcase’s most popular restaurants, so reservations are highly recommended. Bon appétit!